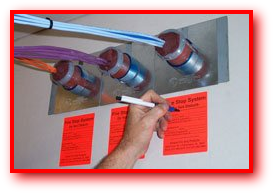 FlameShieldä fire rated firestop split-sleeves for retrofit installation transforms non-compliant wire and cable penetrations into code passing compliance in minutes. Available in a 1", 2" and 4" ID. 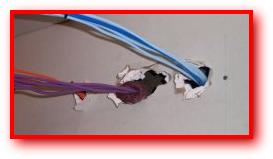 48% cable fill is rated for 2 hours and for vertical installations. 34% cable fill is rated for 4 hours. Each sleeve is supplied with enough FlameShield™ FireStop Putty for a minimum 25% and maximum 48% cable load.